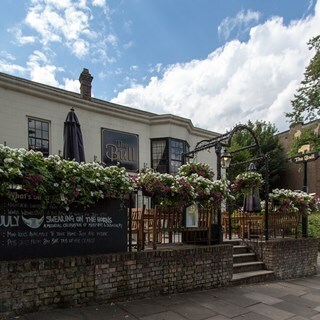 We’re proud to welcome you to a great public house, an established part of the local community. Through the experience of the owner, and his carefully constructed team, we have created a pub where you can meet friends, eat with your family or come for a quiet pint, whilst experiencing uncompromising standards of service, food and drinks. Also, because we genuinely believe the heart of a great pub is amazing beer, we’ve installed small microbrewery in the pub. 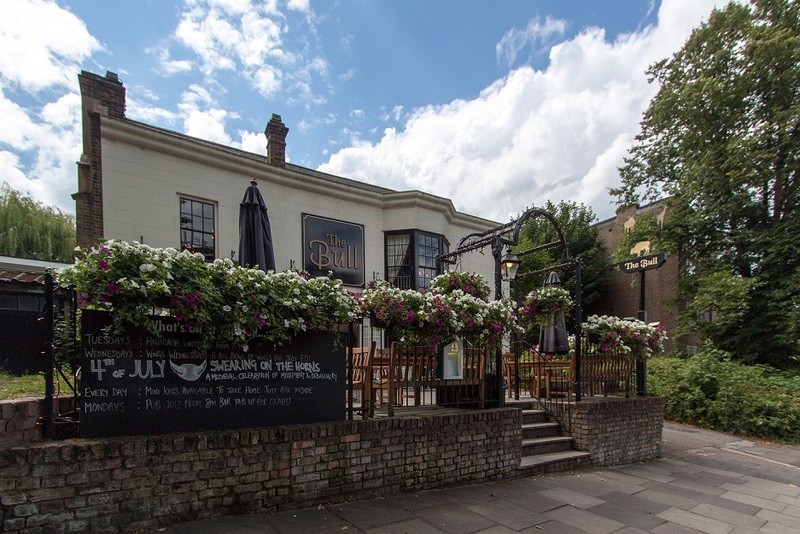 We look forward to extending you a warm welcome at the Bull, and hope to see you soon. Please note that we do keep a small area in the bar for walk-ins, we do not take reservations in the garden, and on Monday nights we host a quiz on the ground floor. Great staff, beautiful venue, wonderful drinks and food. Thank you so much! I had booked a private event to celebrate a wedding, and the assistance in coordinating this was incredible. I couldn't recommend The Bull highly enough. Always sublime hence why I come back so much. Super service as usual - thanks so much to Eoin and the team, will be back again soon! The food was nice and the service was great as always, but the food was certainly not WOW enough to justify the very high prices. I was gobsmacked by the bill, and by £22 for a roast. Why? A roast doesn't cost £22 anywhere else. Have already booked to return. food excellent. so pleased to see that you swept up outside the front after my last posting. however this does need doing on a regular basis - lots of cigarette ends lying around last week . It had been years since I'd last been to The Bull. I won't leave it so long next time. Lovely place and tasty food. Thank you. Very good cooking. Great beers. Best beef pie ever. Great pub,  we go to eat and drink regularly. As always we had an excellent lunch and will be back. Wine List used to be much better and it needs to be reviewed, particularly given the quality of the food and the demographics of your clients. The room was a bit cold, had to keep my coat on. Helpful and friendly staff. It would be a good idea to tidy up the front outside part of the pub. the driveway is dirty and lots of leaves.A tub has a dead shrub in it. the bins on the pavement are unattractive. weeds are growing out of the front wall. presenting a smart well kept exterior is indicative of the same inside. take a lesson from the Rising Sun and the Gatehouse -    otherwise you have a lovely pub. Always have an excellent Sunday lunch at the Bull - nothing is too much trouble for staff and the beef is excellent.